Twenty( 20) Grand Prizes will be awarded, each consisting of 31 bags of LAYS KETTLE Cooked Chips. 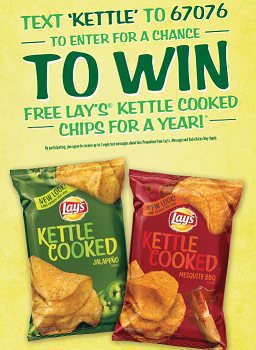 Winners will receive 31 bags of Lays Kettle Chips per month for twelve months. 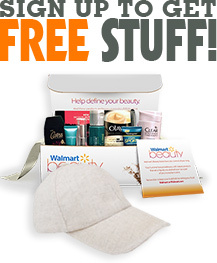 ARV of all prizes is $7,440 You can Also Follow Us On Facebook, Twitter, Pinterest and Google+ for 24 hour freebie updates and more!